Damaged washer, dryer, icemaker? MCS has a network of certified appliance technicians in place across the United States to deal with any appliance issue that may arise for a quick claim resolution. Televisions are one of our most common claims service questions. Not all damage results in total loss of the unit. When minor damage occurs to the unit or the stand it is sometimes more cost effective to repair rather than replace. Is it a treadmill? Maybe an Elliptical? I think something is missing and nothing is labeled. Our experienced exercise technicians can solve this dilemma and have your shipper once again enjoying their work out. Elliptical, treadmills, home gyms and more. Have you ever noticed it is always that treasured family heirloom that obtains damage during the move? No problem – with our furniture restoration specialist that piece will look as good as new in no time. Oops – as careful as we all try to be accidents happen and need to be addressed. Scratches on hardwood flooring, smudges on walls and even broken windows on occasion need to be repaired. Let us take the hassle out of these situations for you and have the residential damaged repaired by our skilled craftsman. Clocks whether they be Grandfather, Grandmother or mantel are delicate and often historic pieces that require special care and special repairman. 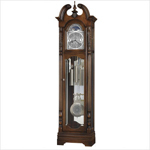 Through our long association with Clock Masters across the country that clock will be good as new. Moving Claim Solutions solves claim related needs for our relocation clients, nationwide. Currently operating as a division of Custom Movers Services, Moving Claim Solutions has 20 years of industry expertise when it comes to handling move related claims. MCS puts a wealth of knowledge and qualified technicians in your corner, no claims service is too large or small for our qualified staff. Last minute service with a professional result is our standard. Our business is based on five basic principles. We look forward to being of service. At MCS, your reputation is our responsibility! © Moving Claim Solutions, Inc.